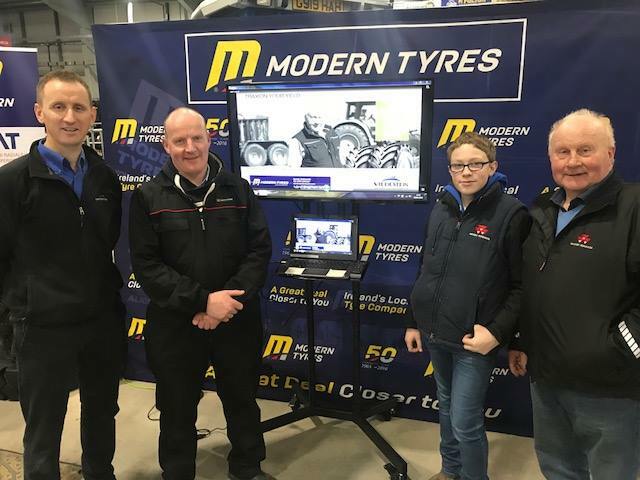 January has been a busy month in the Agricultural sector and so far in January Modern Tyres has showcased at Cork, Balmoral and Cavan. 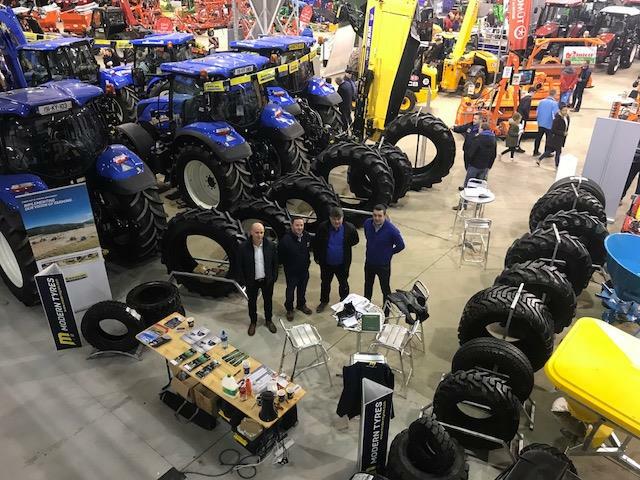 The Spring Farm Machinery Shows regularly attracts thousands of visitors from all over Ireland and the UK to see the latest in technology and machinery for the Agricultural sector. 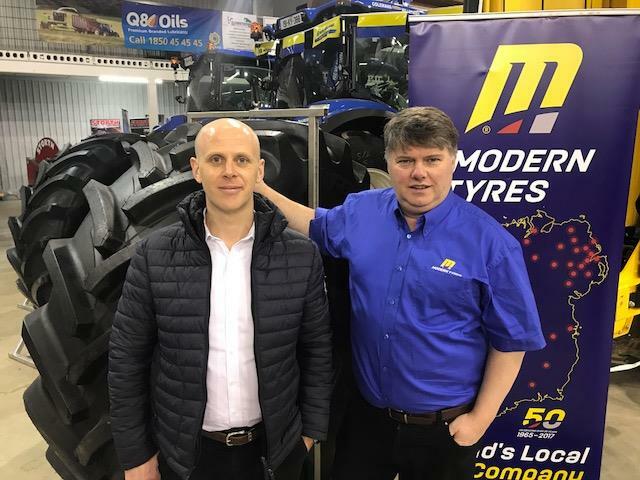 The shows are hugely popular and exhibits key brands as well as small businesses from around the world showcasing an extensive range of agri-tech products from tractors to plant machinery to tyres. 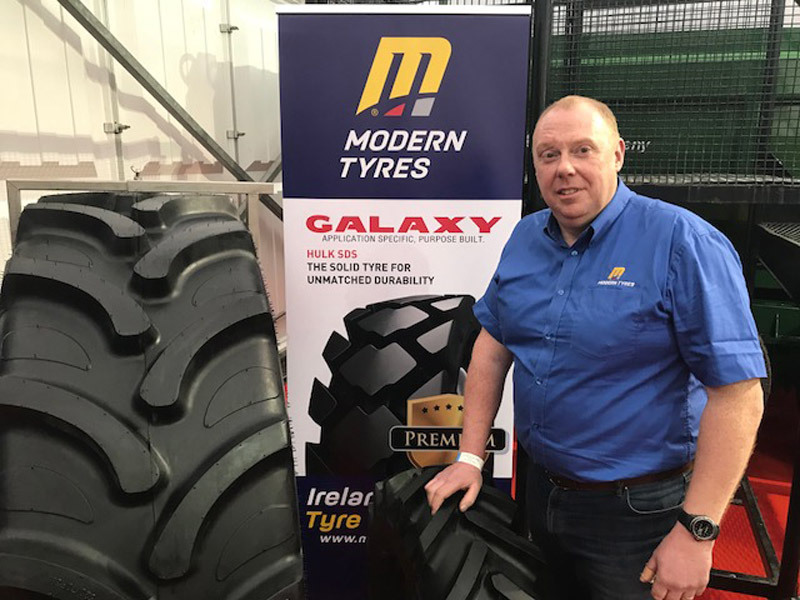 Modern Tyres are Official dealers for Galaxy, CEAT and Vredestein and at our stand our agricultural experts will be able to advise you on the best tyres for your tractor and plant machinery. 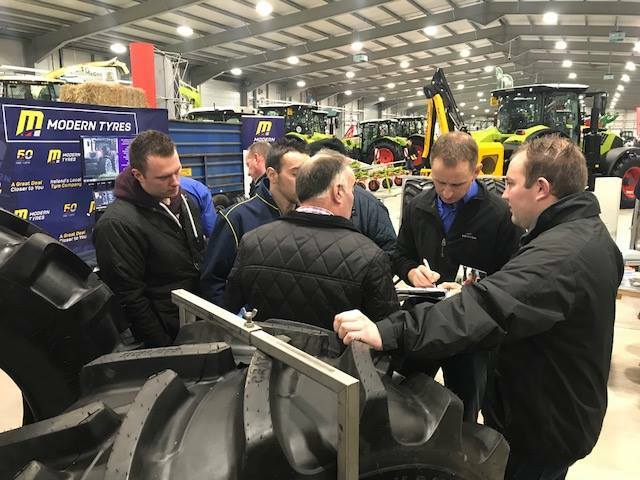 That’s why, before they recommend anything, they’ll glean an understanding of your vehicle requirements, its specific application and any issues that you’re currently experiencing. 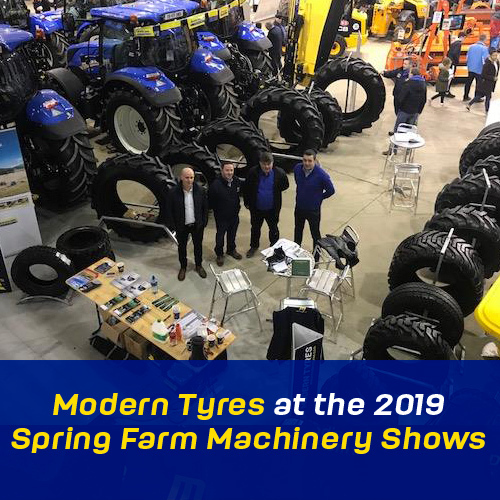 We supply and fit tyres for all agricultural applications and will be showing the following brands and patterns on our stands at the Spring Farm Plant and Machinery Shows. 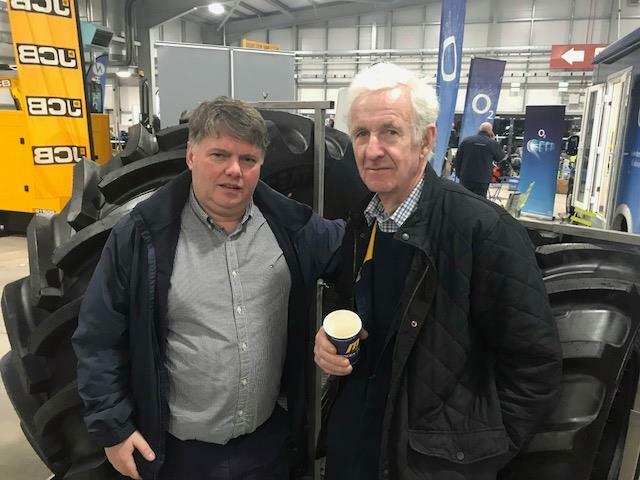 A few farming dignitaries joined us at the stand this year: Charlie Young and John Dan O’Hare. 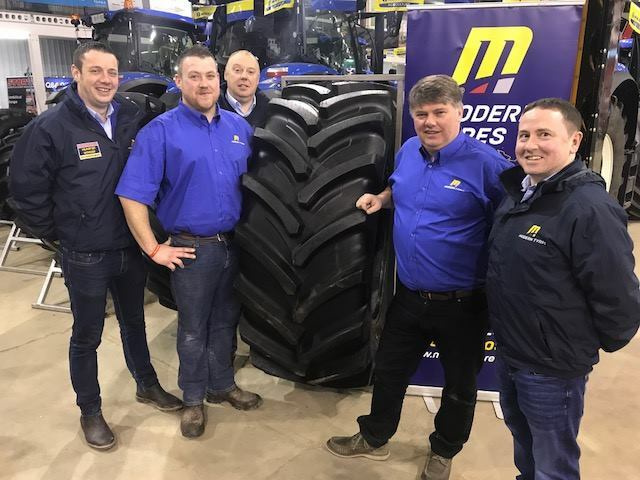 The award winning Vredestein Traxion +, Vredestein Pro Radial and Vredestein Flotation + tyres as well as the CEAT Farmax and CEAT V-PRO which have an exceptional 7 year warranty. Alongside will be the versatile Galaxy range of mixed farming and industrial with the Galaxy EarthPro, Galaxy Workmaster and the premium severe duty, Galaxy Hulk Skid Steer. 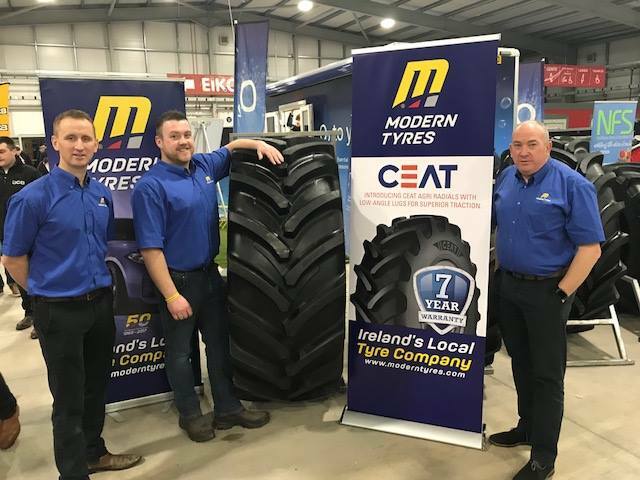 Modern Tyres next Agricultural show will be on the 7th, 8th and 9th February at Ireland’s largest Farm Machinery event - the Farm Machinery Show at Punchestown Racecourse, Naas, Ireland. 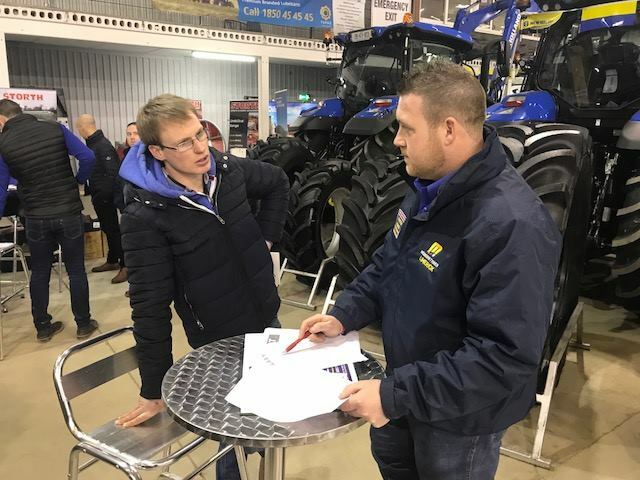 The last show for the Spring Farm Machinery Shows will be in Fintona at the Ecclesville centre on the 20th and 21st of February.